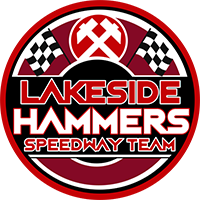 Welcome to the official website for The Lakeside Hammers Speedway team. The Extreme Team Sport. 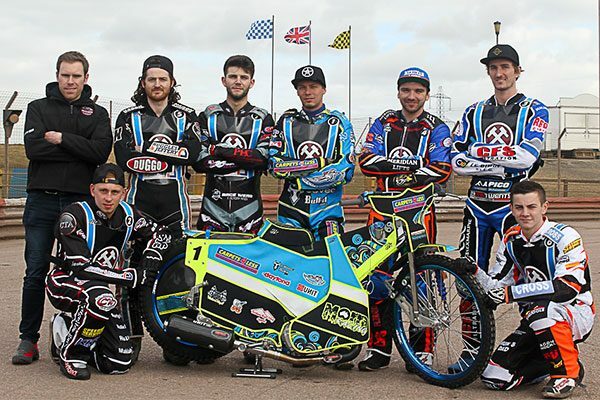 The Hammers raced at the Arena Essex Raceway until September 2018 when they were forced to re-locate after the Raceway complex closed after being sold for re-development. The club’s licence is currently on ice for the 2019 season, whilst a new venue is sourced within the Thurrock district. With a top speed of around 80mph. Speedway bikes have no brakes, just one fixed gear, a clutch and 500cc engines which run on methanol fuel. In power to weight ratio, a speedway bike can accelerate from 0-60 mph, faster than a Formula 1 car. Division Two Riders Champion (2) – Neil Middleditch (1985), Andrew Silver (1987). Grand Slam Champions (2) – Martin Goodwin (1985), Andrew Silver (1987).